Revindex is by far the best shopping cart that I have ever used on any CMS. It is user-friendly, powerful and backed by superb support. In my opinion, Revindex is by far the best module available for DotNetNuke. We are using it to run about 30 ecommerce stores at the moment and we could not be happier. This module is incredibly powerful and easy to use. The support is also absolutely fantastic! 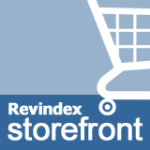 If you are looking for a world class ecommerce solution for your DNN website, I highly recommend Revindex!